If you need to find and hire a children's magician in Pittsburgh, PA and you want to be certain that the children will have an amazing, unforgetable time then there is no need to look any further. 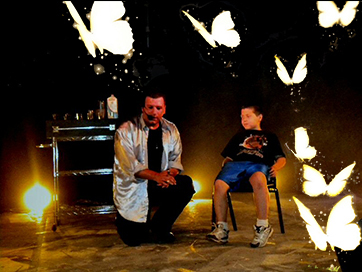 Aedryan has presented children’s magic shows for some of the most prestigious and well known children’s organizations in the world, including The Shriner’s Hospital For Children, The Boys And Girls Club Of America, Boy Scouts Of America and the YMCA to name just a few. 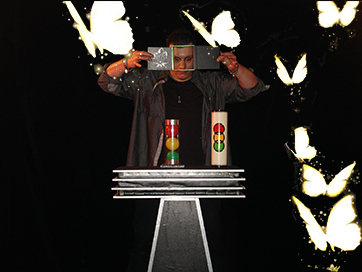 Aedryan’s children’s magic shows create memories that will last a lifetime and they are highly entertaining for both young and old alike. Out of the many different magic shows Aedryan has available, his children's magic shows offer the widest range of options and flexibility. This is because there are so many different venues, performance environments and age groups. All of which, Aedryan can accomodate. 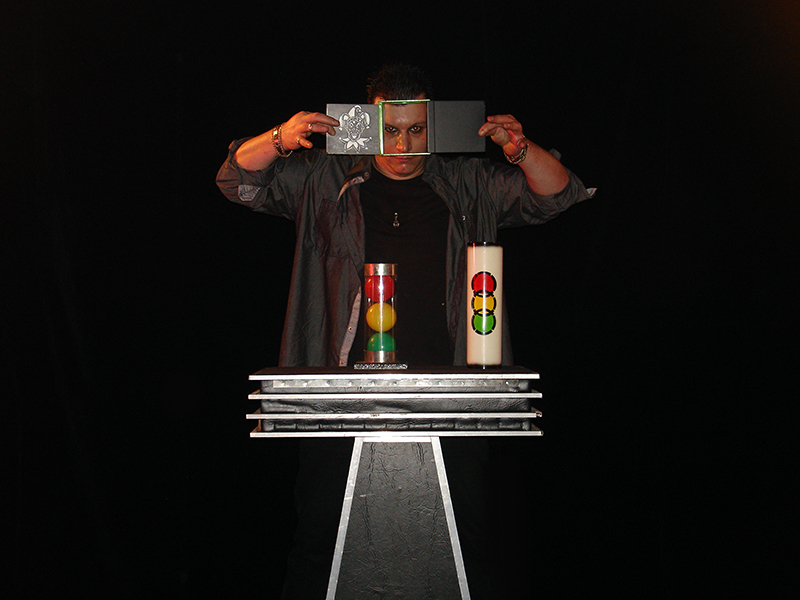 So, whether you need to hire a children's magician in Pittsburgh, PA for a children's birthday party magic show in a living room for 10 children or in a high school auditorium for 500 teenagers or anything in between, Aedryan will provide a children's magic show that is perfect for your event. 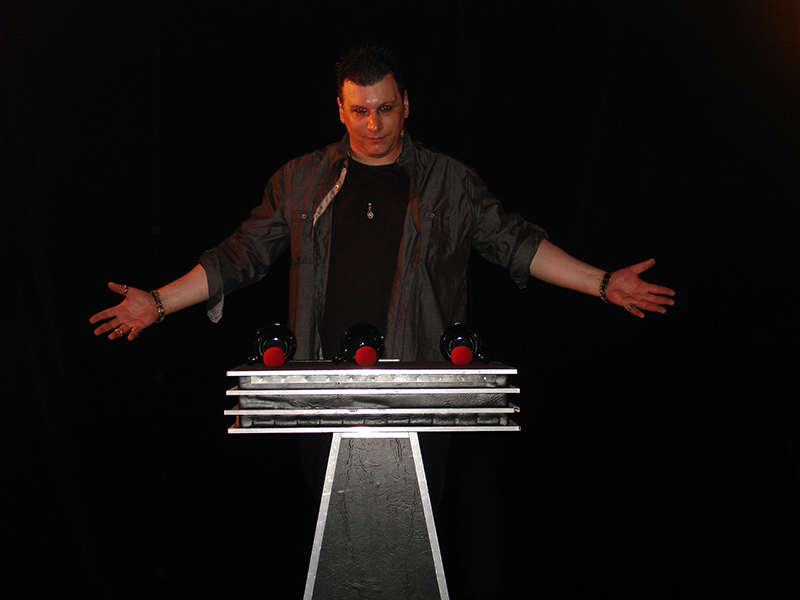 Pittsburgh, PA Children's magician Aedryan Methyus' masterful choreography, scripting and presentational skills are combined with many rare and never before seen children's magic pieces that are simply not performed by other children's magicians for hire in Pittsburgh, PA. 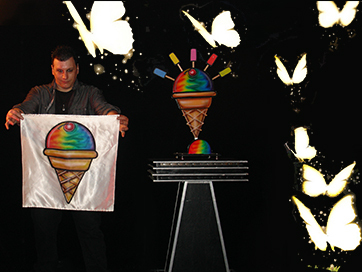 If you are seeking only the finest magical enchantment available for your children's event, Aedryan's must see, one of a kind children's magic shows are GUARANTEED “Wow Factor” that will leave the children, spellbound, captivated and on the edge of their seats with mystery and wonder and create magical memories, which will last a lifetime! 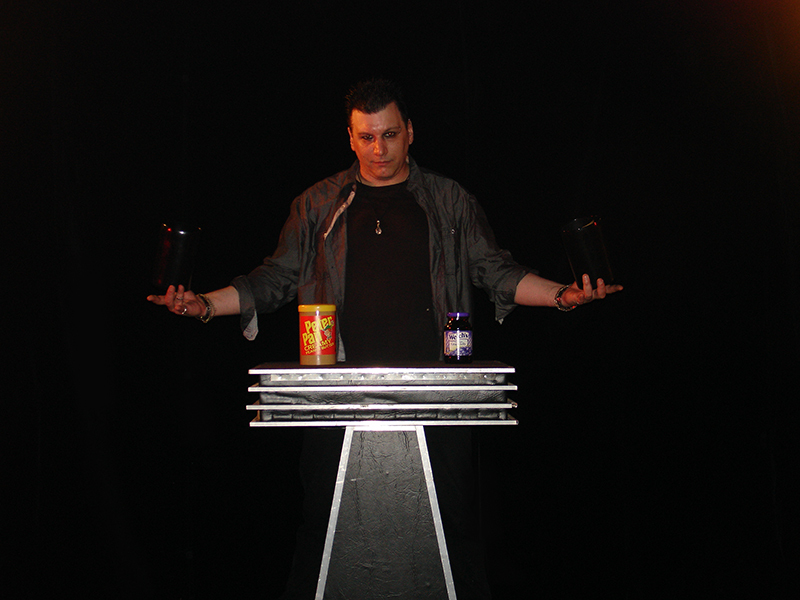 Brand New Children's Magic Show Photos Coming Very Soon! Aedryan's upscale stage version of his children’s magic show entails very unique, highly visual, colorful and "not so usual" elite children's magic pieces, which are simply not performed by other children's magicians for hire in Pittsburgh, PA. Much of the children's magic presented by Aedryan and his assistant in this very special piece of children's theatre are either extremely rare and unavailable or were created by Aedryan himself. Every bit as much love, care and passion have gone into the choreography and routining of this very special children's magical masterpiece as Aedryan's largest fullstage theatre productions. 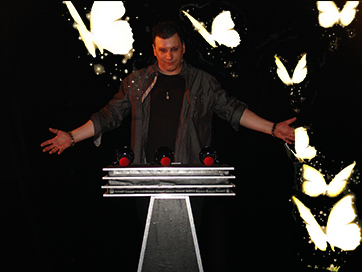 * Though, this children's magic show performance is very much enjoyable for all ages, it is geared more specifically for ages 4 - 12 in it's purest form. 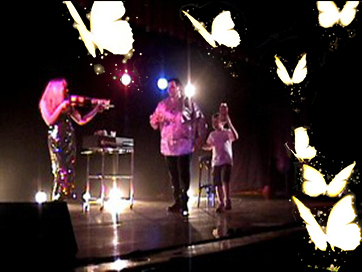 As with all of Aedryan's performances, it can be custom tailored to accomodate any age group. * If you would like Aedryan to create an ambient theatrical stage setting to set the mood for this magical performance, lighting, backdrops with side-wings, fog and bubble machine are also available. 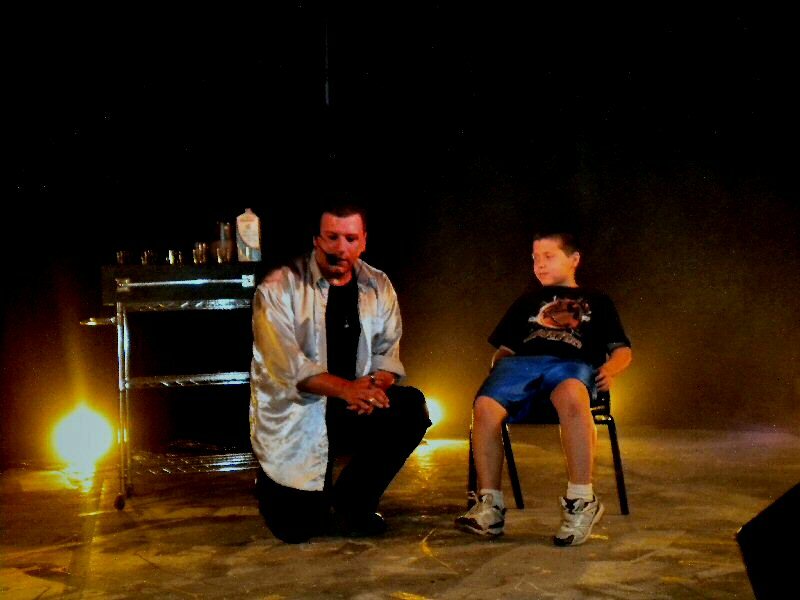 Aedryan's children's birthday party magic shows are scaled down versions of his larger stage performance. 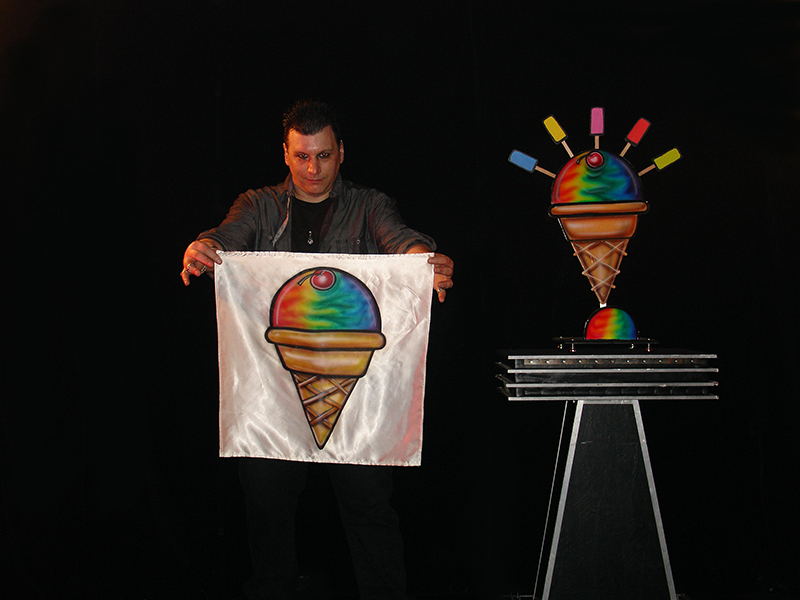 His children's birthday party magic shows still entail very unique, highly visual and colorful magic pieces. Many of which are in the larger show. 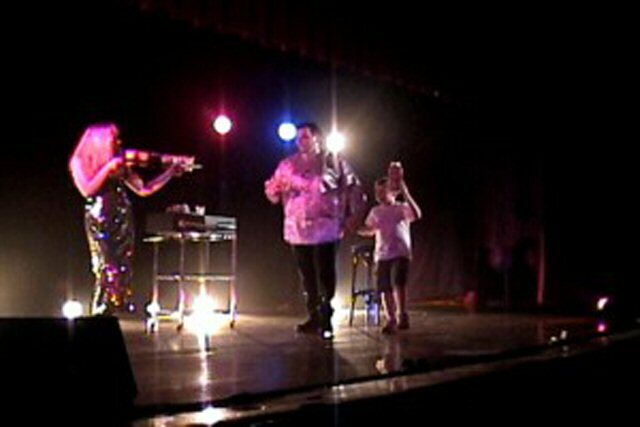 In some ways, Aedryan's children's birthday party magic shows have even more impact than his larger shows, because more often than not, the performance setting will be in much closer quarters. This makes for a very intimate, up close and personal experience for the children. And, the best part is, your child will be the star of the show!